Insects are sometimes considered as pests. The reason lurking behind this is the fact that we oftentimes see the insects on the plants. Maybe there are types of insects that are harmful to our garden or farm. For instance, the grasshoppers which target leaves and newly growth plants. But in reality, many insect species are beneficial and have played great role in the food chain. With the rampant environmental issues affecting the environment today, these beneficial insects have truly suffered which can bring out bad effects in gardening and farming industry. So, be wary. The next time you come across a buzzing, crawling or flying insect, you should think twice in attempting to squash them. Who knows that insect may be the reason why you have food on your table. So, are you curious about what types of insects are helpful in your garden? Listed below are just top 10 lists of them. Commonly mistaken as a kind of hornet. Bald-face hornets are not really hornet at all. But they are much similar to yellow jacket. What makes this specie of insect helpful is the fact that they feed on live prey such as flies. In some cases, they visit flowers to collect nectar. Thus, they help the plants pollinate. 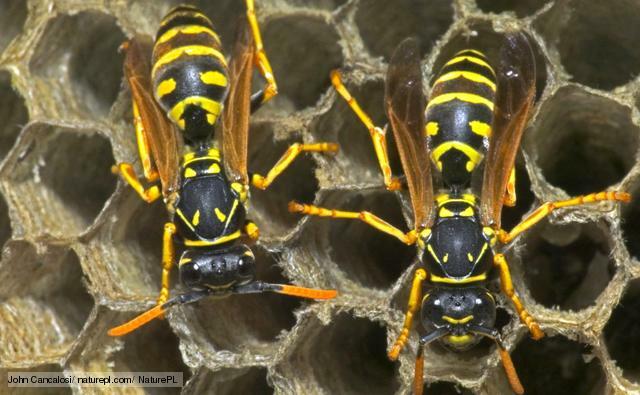 Yes, yellow jackets can be harmful to humans. They can sting but only if provoked. But the thing is, these insects are indispensable pest controller. For farmers, the yellow jackets can be very helpful in protecting the plants from those damaging pests like flies and caterpillars. This means gardeners and farmers can harvest the crops and save money. Parasitic wasps are harmless to human beings. They don’t bite or sting people. These insects prey on different kinds of insects. 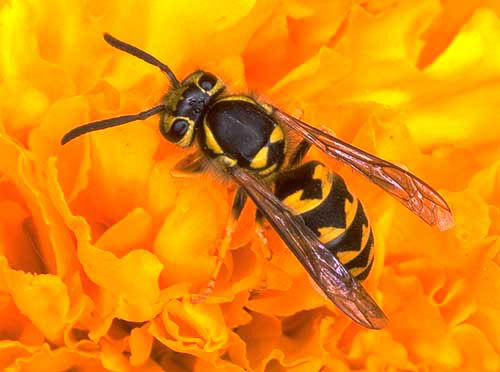 For example, the cicada killer wasps only kill the cicada. Meanwhile, the trichogramma wasps feed on caterpillars and at least 200 kinds of nuisance worms. Remember that pests like nuisance worms can greatly destroy plants and even trees. So with the wasps, their population can be cut off. The name itself already sounds tough. Assassin bugs can be found in different varieties. They vary in terms of colors, sizes and means of hunting for food. 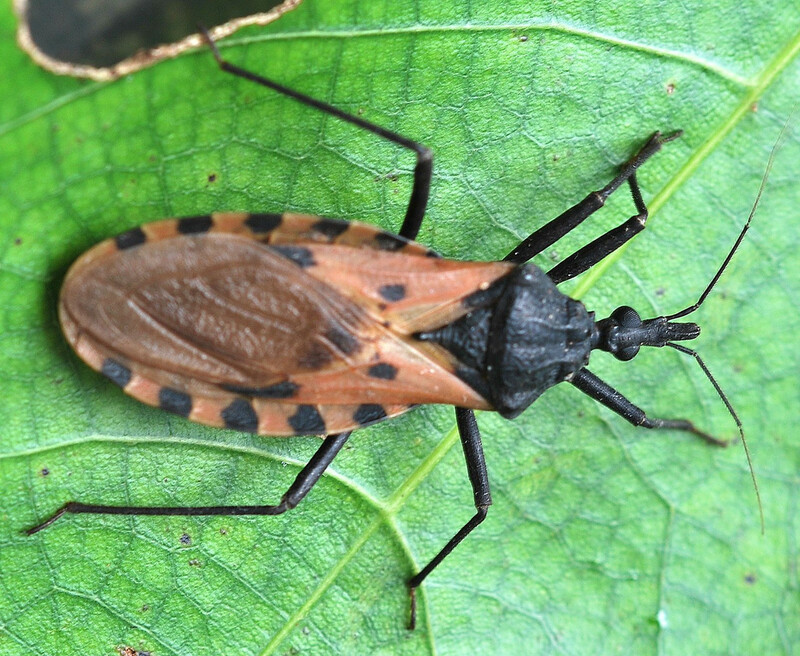 The primary goal of this kind of insect is to hunt for other specie of insect. Their camouflage capability allows them to ambush their prey. Lacewings are indeed very useful. Imagine as early as the larval stage, they can already control pests. Lacewings larvae eats up different types of pests including mealybugs, thrips and spider mites. 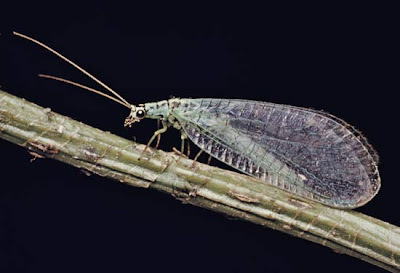 Meanwhile, the adult lacewings feed on nectar and pollen. 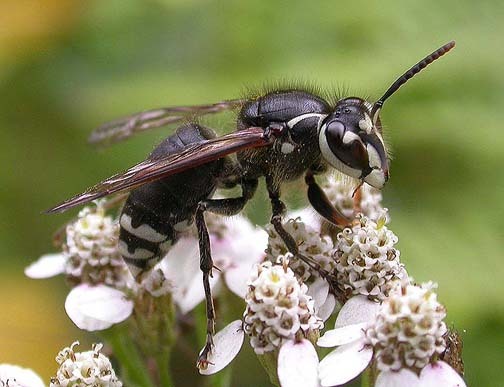 Just like the honey bees, these specie of insects contribute much in the pollination process. 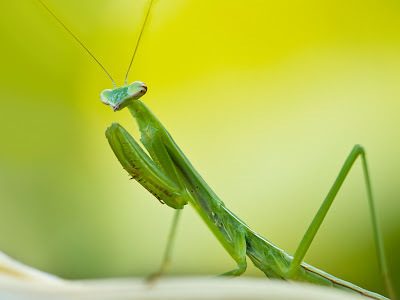 Known as the giant in the world of insects, the mantis feeds on larger varieties of insects and pests. As a matter of fact, the largest kind of mantis can prey on certain birds. Praying mantis uses its praying-like forelegs to grasp on the insects tightly. Did you know that mantis also eats their own kind? Yes, when the hunting for food gets too tough, they eat other mantis. Thus, controlling their population in return. Do you hate mosquitoes? You are not alone. Mosquitoes are known to carrier of many ailments such as dengue and H-fever. 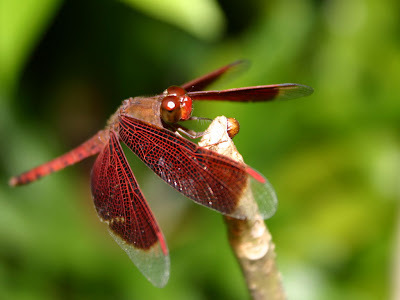 But with the existence of the dragonflies, mosquito population can be minimized. Dragonflies eat mosquitoes as well as aphids. This specie of insect loves wetlands. So, you can highly attract dragonflies if you have marshy land right in your own yard. 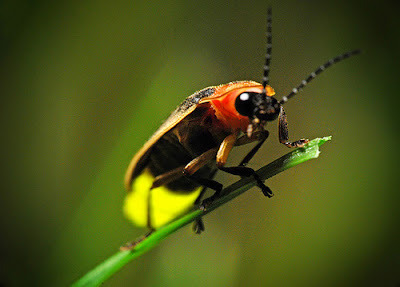 Also known as lightning bugs, fireflies are such a sight to behold during nighttime. They look like flying tiny lights in the garden. Fireflies are innate garden protectors. Much like the lacewings, their larvae helps eliminate pests. The larvae feeds on snails and slugs which are very destructive on plants. Adult fireflies prey on pests like aphids and help pollinating the plants. When talking about beneficial insects, ladybugs are included in the top list. They look so cute that you wouldn’t think they can kill pests. A ladybug is an indispensable garden predator killing those insects that feed on leaves and vegetables. 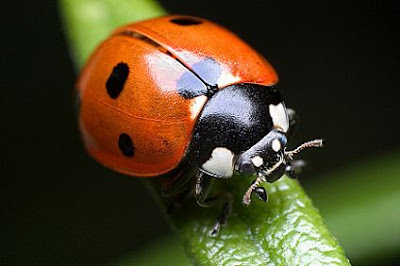 Ladybugs take out weevils, mites and aphids which are harmful to plants. One ladybug can consume as much as 50 aphids in a single day. These insects can truly save your plants. Listing down the most helpful insects on the planet will not be complete without this particular type of insect – the Bee. As we all know, there are so many benefits that human can gain from the honey bees. These buzzing insects play very important part in plant pollination. Without them, many fruits and vegetables will not be available. 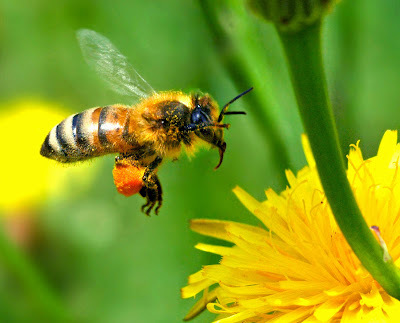 Maybe it is correct to say that the primary purpose of the bees is to pollinate the flowers and plants. They are also responsible for honey production. And thus, bees are very integral to the agricultural industry. This article was written by Ashley O’connor She is a professional blogger who writes health and home-related articles for various companies such as Bees Frees, a technology firm that develops solutions for the beekeepers communities worldwide. When she is not writing, she watches tv or reads books. Contact us or email us with your questions, comments or tips. Read more trending news here at HenSpark! Know the Best Stories from Underworld: Is Hell Real? Feeds To Satisfy Your Creative Thirst. Your daily dose of intriguing trending news, world bits, entertainment, viral feed, and video collected from around the web.